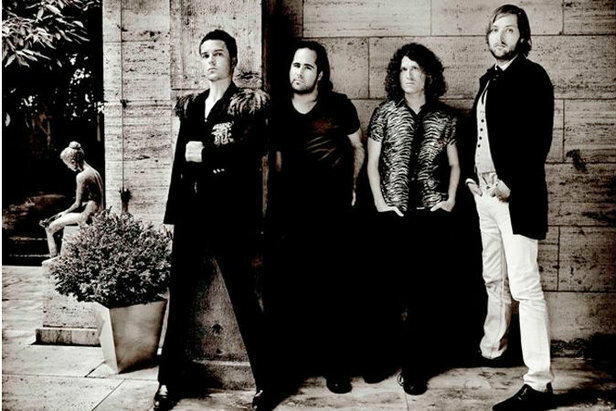 One of the best-selling bands of this century so far – their Day and Age album was in the Top 10 of best albums – The Killers have stacked up a huge list of awards since forming in Las Vegas, Nevada, in 2001. In the UK, their single Mr Brightside has been voted the second-best song of the decade and the album Hot Fuss spent a record 173 weeks in the UK Albums Chart. The band have sold more than 5million albums in the UK and 15million albums worldwide. Headlining the Ischgl closing concert means they join an illustrious list of superstar acts, following in the steps of Elton John, Kylie Minogue, Alicia Keys, Katy Perry and Rihanna to perform at the Tirolean resort's legendary Top Of The Mountain concerts, which bookend its five month long ski season. This season's opening concert was performed by Beth Ditto and her Indie rock band Gossip at the end of November 2010 to an enthusiastic crowd of 20,000. The Top of the Mountain concert at Idalp, near the top station of the main Silvretta gondola out of Ischgl, comes in the middle of the UK’s ‘Bonus Bank Holiday Weekend’ and is a great excuse for skiers to have a late escape to the mountains. The Royal Wedding of Prince William and Kate Middleton is on Friday 29 April, now a Bank Holiday, as is Monday 2 May. So skiers and boarders can book a long weekend in Ischgl without having to take time off work. Prices for four nights' bed and breakfast in a hotel with a three day liftpass are available from euro 330 per person. Entry to the concert is free with a valid liftpass. Email incoming@paznaun-ischgl.com for accommodation availability. The final day of Ischgl's ski season is Sunday 1 May.